In 1988, the United States was awarded the privilege of hosting the 1994 World Cup. Part of the conditions for getting to host the revered tournament was that the United States Soccer Federation would create a division one professional soccer league. In 1995 Major League Soccer was unveiled to the American public and officially began play in 1996. The league kicked off with ten teams spread across the United States. In 2019, the league now has 24 teams with three teams joining in the future and one more expansion team to be announced. Since the inception of the league in 1995, the MLS has seen major soccer stars grace the fields of America. Today, we take a look at the top 5 MLS debuts, and rank which players made the greatest impact for the league, and their team in their very first game. Marco Etcheverry played seven season in DC amassing 190 appearances and 34 league goals. He was considered to be one of Bolivia’s top talents. Brian McBride signed with the Columbus Crew from VfL Wolfsburg in Germany before moving to Fulham (where he has a bar named after him) and becoming a U.S. men’s national team legend. While there are many more names that could be mentioned, I want to focus on the top five player debuts in Major League Soccer history. To make this a little easier, I am going to focus on the Designated Player (DP) Era (which started in 2007 and is fondly called the Beckham rule). If you want a quick introduction into the designated player rule, I would recommend a quick visit to Wikipedia. We are also going to only look at league debuts and not debuts that occurred during friendlies. David Beckham made his official debut for the LA Galaxy in a friendly against Chelsea, but his league debut came on August 9th, 2007 on the road at RFK Stadium against DC United. With the Galaxy down one when Beckham came on in the 71st minute, Beckham provided two key passes that almost resulted in goals. While the Galaxy were unable to equalize off either of those passes, this debut makes the list because of his impact on the league. As we mentioned above, David Beckham’s move to the LA Galaxy from Real Madrid created a new era in Major League Soccer and created buzz behind a league that was struggling to compete in the American sports market. The league lost an estimated $250 million in the first five years of existence and in 2002 announced the contraction of both Florida franchises, the Tampa Mutiny and the Miami Fusion. Beckham’s arrival in the league brought a raise in ticket sales at any stadium the Galaxy visited and sold a number of shirts all donning his number 23. That is why he has to be on the list. Not because of his impact on the game against DC, but the impact his name brought to the league as a whole. The fourth spot on the list goes to Carlos Vela. Unlike most of the players on this list, Carlos Vela’s move to the Major League Soccer came during his prime. At the age of 28, Carlos Vela was unveiled as the first signing for Los Angeles Football Club. A highly touted Mexican international, Carlos Vela spent time at Arsenal making several loan moves before landing permanently at Real Sociedad. In the five years he spent in Spain, Vela made 184 league appearances scoring 54 goals. Vela’s signing for LAFC was met with fanfare and an excitement surrounding the new expansion team. His debut came in the first MLS game for LAFC on the road against the Seattle Sounders. Vela provided the assist for the only goal of the game by piercing the Seattle defense with a pass to Diego Rossi. While statistically not the best game he has played for LAFC, this set the tone for the inaugural season. Currently he is putting together a pretty impressive resume for MVP. Manchester United’s all-time leading goalscorer was signed by DC United on June 28, 2018. His first start in the league came on July 14th coming on in the 59th minute for Darren Mattocks. Like Vela, Rooney’s debut was not statistically impressive; although he did provide an assist to Paul Arriola in the 80th minute of a 3-1 win over the Vancouver Whitecaps. His debut, however, marked a turnaround for DC United’s season. Prior to this game, DC had only managed to win two games out of fourteen while on the road due the construction finishing on their new stadium. Consequently, Rooney’s debut fell on the opening of Audi Field and was the catalyst DC needed to make a run for the playoffs. After three games in his debut season, Rooney was named team captain and has led DC United to an impressive start in 2019. Our top two debuts come from the city of angels, Los Angeles. The team that started the Designated Player rule has utilized the best when it comes to talent that sells tickets and shirts, but also helps to produce results. After an impressive career at Liverpool, Steven Gerrard was announced as a third DP signing behind Giovani Dos Santos and Robbie Keane. His debut came on July 17, 2015 in a 5-2 victory over in-state rivals, the Sacramento Earthquakes. After a quick two goals by Sacramento in the 22d and 25th minuted, the LA Galaxy stars took over. Gerrard drew the penalty that lead to Robbie Keane’s first goal of the game in the 30th minuted. In the 37th minute, Gerrard curled home a Husidic cross to equalize the game. Finally, in the 64th minute Gerrard drove in a hard low cross from a set piece that was turned into the net by Robbie Keane. What made his debut impressive was the impact he had on the game, which vindicated the LA Galaxy’s decision to make him a DP. The number one spot on my list goes to Zlatan Ibrahimovic. Possibly the only player to arrive in the MLS with more pageantry than David Beckham, Ibrahimovic moved to the LA Galaxy in March of 2018 after agreeing to terminate his contract with Manchester United. He arrived in LA with an introduction video that showed him walking next to a lion so it was only fitting that his debut would come against the newly formed Los Angeles Football Club in the very first El Trafico. The game started out in favor of the new club who jumped out to an early 3-0 lead after a Carlos Vela brace and a Daniel Steres own goal. After pulling back one goal and still chasing the game, Zlatan made his debut in the 71st minute coming on for Sebastian Lletget. Six minutes later Zlatan would volley a 40 yard strike over the head of LAFC goalkeeper Tyler Miller to tie the game. This strike would go on to be named the 2018 MLS Goal of the Year. But, Zlatan didn’t stop there. In the 91st minute he would head home a cross from Ashley Cole to give the LA Galaxy a 4-3 lead and the first ever El Trafico victory. This was a tough list to compile. As I was doing research, I kept coming up with more names of quality signings that made an impact in their debut in the MLS. One honorable mention goes to Andrea Pirlo who start the attacking sequence for two New York City FC goals in his debut. Is there anyone that you believe should be on this list and who should they usurp? Let me know in the comments, but these are my top 5 debuts in Major League Soccer. 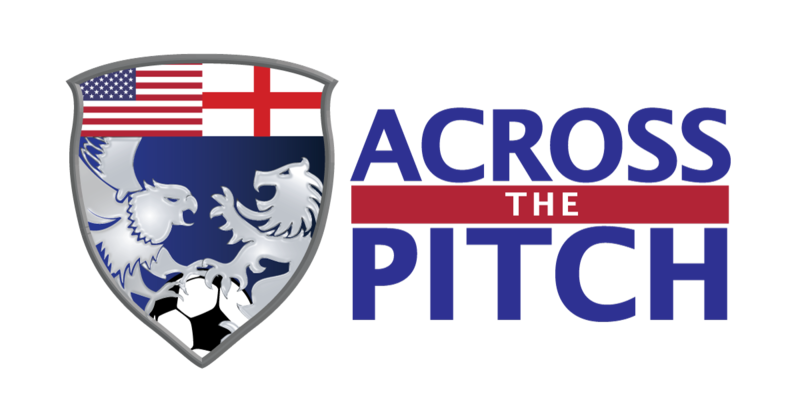 If you would like to submit your own top 5 MLS debuts list you can send us an email to contact@acrossthepitch.com. Just send us a list of your 5 players, when and what team they made their debut for, and a sentence or 2 about why you think their debut was special, and we may read your list on our next show. As a note, although all of the players on this list transferred from other leagues, that is not a requirement.